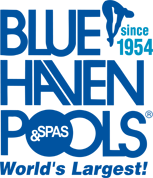 Pool solar systems use collectors that absorb the sun’s heat, and then boost pool temperature by circulating water through the collectors where it gets warm. The heated water then routes back into your pool. Would you like to reduce monthly utility bills for heating your swimming pool? Particularly if you have an older installation with a less-efficient heater and/or if you face other specific factors—described below—that boost pool heating needs, an energy-wise solar system may be the perfect solution for you. Converting your pool’s current gas heater or electric heat pump to technology that harnesses the sun’s power will slash pool heating costs. In some cases, the better approach is to add a solar system to an existing equipment lineup. An example here is when a pool includes a spa that you want to be hot; pairing solar with a traditional heater will reduce total reliance on the heater to fire up the spa. Over time, solar pool heating is a proven money saver. Better yet, along with keeping more money in your wallet, using renewable energy sources like solar energy is a healthier alternative for the environment. However, purchasing and installing a solar system does require an upfront investment. If you are seriously considering making the change, then it’s helpful to understand why your current pool-heating bills may be high, as well as how solar systems work on an ongoing basis to provide free heat. Keeping pool water warm enough for swimming takes energy. The most common pool-heating methods are natural gas heaters and electric heat pumps. However, comfortable water temperature does come with a price. Often, the amount is moderate with only minimal impact on monthly energy bills. But the cost varies from pool to pool, based on various factors. One key determinant of energy cost—accompanied by less-than-ideal monthly bills—is your current pool heater. Many pool builders make sure their clients have modern technology with high-efficiency ratings to maximize performance. However, your pool may not be equipped with such an option, relying instead on an older or cheaper, less-efficient model that consumes more gas or electric to get the job done. Or, your pool may include a high-performing heating unit, but external issues contribute to particularly high gas or electric consumption. Just what are these variables that alone or in combination make it tougher to boost water temperature and drive up energy requirements on your heater? You do not regularly use a pool cover. Without a cover or blanket across the water surface, precious heat escapes from the pool into the air. You swim laps on a daily basis. Doing so in many areas of the country will require keeping the water heated year-round or virtually year-round. Your pool includes a frequently used spa. You regularly like to turn up the spa up for hot, therapeutic soaks—including at night and in cooler weather throughout the fall or even winter. Your pool is large, holding north of 18,000 gallons of water. If so, it likely has dimensions at least 34-feet long and 16-feet wide and boasts a depth going to 6 ft. Or, it might be shorter in length or width, but still have high water volume due to an 8-foot deep end. This kind of liquid mass may mean running a traditional heater for one or two full days before the water becomes swim-ready. Your pool is located in a region of the country with long, cold falls and winters or in a desert area where outside temperatures nosedive each night. When the mercury drops outside, pool temperature pays a price. Your backyard is in a windy location, such as on a mountain or canyon rim. Like blowing on hot soup to cool it down, as cool air hits the water surface it steadily erodes pool heat. Your pool receives little direct sunlight. Depending on its position in your backyard, the pool may experience unusual levels of shade due to tall fences, large bushy trees, the structure of your home, or your neighbor’s 2- or 3-story house casting shadows on the water. With only limited sunshine bearing down on the surface, the water receives less benefit from the sun’s heat. Now, even if your pool is untouched by any of the factors above, and its heat consumption is moderate, your gas or electric bill still may not be. High utility company rates in—vs. your actual usage levels—in some metropolitan areas may be the culprit driving up the numbers on your monthly bills. For homeowners with these pool-heating challenges, there’s a more cost-efficient way to maintain a relaxing swimming environment. In some cases, the answer may be to upgrade your gas or electric heater to a high-performance model. In other situations, adding or switching to a solar heating system that uses free heat from the sun may be exactly what you need! In a nutshell, solar systems use heat from the sun to warm pool water as it passes through the system. It’s a fairly simple process. First, you set the solar system to the desired pool temperature—just like you would with a traditional heater. The heart of the system lies in a series of tubes that serve as solar collectors. These collectors absorb heat from the sun, and the tubes become warm. Next, as the pool pump routinely circulates cold pool water into the filter for cleaning, some of the filtered water gets diverted from returning to the pool. This portion funnels through pipes into the solar system’s heated collection tubes. As the cold water passes through them, it absorbs some of the heat and becomes warmer. A sensor determines when it’s warm enough, and once it reaches the set temperature, it exits through another set of pipes and circulates back into the pool. Depending on the weather outside, each time pool water passes through the collection tubes, its temperature can increase six to eight degrees. On a series of warm and sunny days, it can go up even more. Is adding or converting your pool heating system to solar power worth it? It very well may be. Evaluate your particular situation in the context of the variables outlined here, and of course, get price estimates for solar systems in your local area. Remember, heat from the sun is free, clean, and renewable! The initial cost and installation of a solar pool heating system can be upwards of several thousand dollars. However, depending on what you currently pay to heat your pool (and spa), this outlay may be recouped within just a few years. Consider also: If heating your pool becomes free with your new solar system, you and your family may be likely to dive in more often. 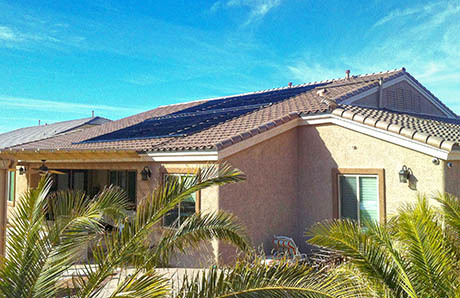 Extending swim season—and enjoyment of your backyard resort—may be reason enough to invest in solar! To learn more about solar pool heating, or to find an installation company in your area, visit http://www.cleanenergyauthority.com/solar-installers/. Have you converted your pool’s old heater to a solar system? What do you like most about it? Tell us on Facebook or Twitter!